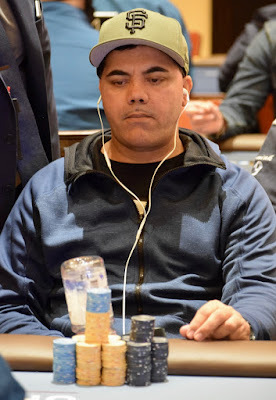 15 levels are complete in Day 1B of @WSOP Circuit Event 1 and Arish Nat bags 155,000 for the top stack of the flight. #TVWSOPCircuit advances 17 players from a starting flight of 131, here are their final chipcounts. This flight returns Sunday at 11am to play down to a winner. There's two starting flights on Friday - 11am and 4pm - with the final starting flight - 1E - beginning Saturday at 11am.